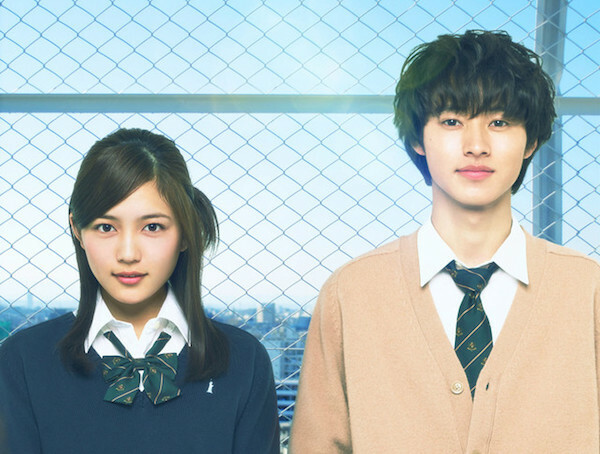 High school student Yuki Hase (Kento Yamazaki) wants to become close with classmate Kaori Fujimiya (Haruna Kawaguchi) who is alway by herself. Kaori Fujimiya refuses to become close with Yuki Hase, because she forgets her friends every new Monday. Even though Kaori tells Yuki why she doesn't want to become friends, Yuki still wants to become close to her. Based on manga series "Isshukan Friends" by Matcha Hazuki (published from January 21, 2012 to January 22, 2015 in magazine Gangan Joker). Filming began November 14, 2015 in Tokyo, Japan and finished December 16, 2015. Vanya Jan 28 2019 8:56 am One of my favorite movie. Definitely gonna watch it again. Haruna is so cute and as expected of Kento, his acting is really good no matter what his role and character. Fatya May 28 2018 12:48 pm I'm a bit slow so I'm often confused on concluding some endings. That's why I'd like to ask you, which one do you think the ending is: 1. Hajime let Kaori go to be with Yuki. 2. Hajime is dating Kaori, but he lets Kaori be friends with Yuki. INFINITE senpai Feb 01 2018 8:48 am kento and haruna are just incredible. kento was the one who bring me back to shoujo movies. its a good drama to be watched. I even love them more!!!! wkwkland Jan 04 2018 2:54 am Hase Yuki deserved better! athena Sep 11 2017 10:33 pm i must say Kento nailed his portrayal in his character in this movie,! the moment he cried was just heartbreaking.The interactions between the leads are pure and sweet ..???? Candyness Aug 26 2017 9:03 pm This movie is very good. Very recommended. I think i love yamazaki because his acting is very very very good. Haruna kawaguchi also kawaiiii. Love this movie so much. Hanistar Aug 16 2017 11:38 pm Just when he's not playing his usual tsundere roles and people start complaining..haha! I kind of like his role in this movie because he's kind of nerd, just like his role in Your Lie in April. Unlike his roles in L DK or Wolf Girl and Black Prince where he's kind of cold. Nevertheless this shows what a talented actor he is. You just throw whatever role to him and he can portray it well. I like him the most in Sukina Hito Ga Iru Koto and Death Note where he acted as matured adult rather than a high school student all the time. Egi Jonathan Aug 15 2017 11:57 am I like this live action very much. I like movies when kento was there. Like Wolf Girl and Black Prince, Your Lie in April, Orange, etc. kentoyamazakiiifan Aug 02 2017 9:11 am I love this movie! I give it an 8% out of 10. I would have gave this a solid 9, but because I wasn't a big fan of the ending, the second lead is honestly not kakoii in my opinion and yuki hase deserved BETTER. (spoiler alert guys!) The ending should have been more clear because it was clear enough to me that Yuki Hase really liked Kaori but at the end, they only became friends again and nothing more which really disappointed me because Yuki is such a nice character. I sometimes wonder who tf is the main or the second lead guy , its not that clear but overall i like it! i cried so much , lol. chichi the critic Apr 04 2017 10:38 am Kawaguchi Haruna is a good lead. She's pretty, and decent in acting. But she lacks of emotion sometimes. That is why, as much as I like her, I can't really say she's a classic actress in this generation. Hirose Suzu is the greatest choice but seeing her in too much movies (especially this time it's with YamaKen again) would be too repetitive. Yamazaki Kento, has once again proved why he's more than just a pretty face. This is one of his very few movies wherein he plays a unique character. mike Mar 20 2017 10:06 pm The reason why Yamazaki Kento is more popular than Sota Fukushi is he can act better. I don't get why people look at them as the same level. ladybear Feb 01 2017 1:59 am I can't wait for this movie! AHHHHH!!! i can't wait... too excited. Sara Dec 29 2016 5:03 pm @BBLKing: voicing reasonably and logically negative opinions is ok but alfonso's is just insult and bitterness without any good reason. Ramen Dec 29 2016 5:28 am @BBLKing @alfonso I'm sorry if I've caused oppression, I'm worried that Kento Yamazaki fans might start bashing you. I'm not saying you can't express what you think at all that's completely wrong but to just be careful I guess? BBLKing Dec 28 2016 12:08 pm @Ramen You can't tell him that, if he has a negative opinion he can express it as anyone here. That's oppression. Ramen Dec 27 2016 10:39 am @alfonso Excuse me but can't you just keep your opinion to yourself. Not only will it effect you but also Yamaken fans. Try to avoid expressing that you dislike YamaKen and saying he can't act cuz he can. Why would directors take him to act different roles? He's already received a lot of hate that could bring him down so don't keep adding on. I'm pretty sure you wouldn't want Kento Yamazaki's fans to bash you because you were expressing your opinion freely and also think before you say these kinds of things that he can't act and he ruined a lot of shojo mantas and stuff but anyways that's it. alfonso Dec 26 2016 12:48 am why they always take Kento Yamazaki?! He cant act, he totally ruin a lot of my favourite shojo manga. He looks so weak! ymzki.kwgc Dec 13 2016 11:46 pm Haruna x Kento pairing will surely have amazing chemistry. Can't wait for 2017! Fujimiya Yuki Dec 03 2016 9:17 am Yay, they use Kanade as theme song!!!! Can't wait to see it next year!!!! strawberry_9309 Dec 03 2016 9:15 am I wish this movie will be shown in the Philippines because Your Lie in April is about to be shown in the Philippines on December 7.. . Anyways, Ganbatte, Haruna and Kento!! lit Dec 03 2016 3:25 am actually really excited kento is trying a role that requires more than 2 expressions. i wasn't really a fan of his characters before tbh.. anyway can't wait for the release! Callie Dec 01 2016 1:06 am @joie: Hmmh did you really go through most of his dramas/movies? If you had done, you wouldn't have been able to say that. DeadFantasy Nov 28 2016 7:48 am I'm really drawn to Kento's acting. He's sooo good. I've watched almost all the movies and dramas he is in and just finished A girl & three sweethearts and Loved it (wished it was longer!). Anyway I'm really excited to see him acting in this movie. The plot sounds sweet and interesting. Can't wait to see more of his work. strawberry_9309 Nov 19 2016 7:55 pm When is the trailer coming out?? I really can't wait! glass Aug 15 2016 5:19 pm All hail Kento. Rima Aug 04 2016 7:29 pm I love when he acts with Mirei Kiritani..thier chemistry is superb!! yamaken Aug 03 2016 1:43 am I like the anime and the manga and will surely love the live action. For those who are tired of YamaKen being in a shoujo, well this isnt shoujo(Shigatsu , Death Note) guys. Bandwagons everywhere of mangas and animes. He is always fresh in every movies and adaptations he portrays. His expressions are always on point. Ganbatte YamaKen. Fight-o!!! irukif Aug 01 2016 8:48 pm i wished kaori would be played by sora amamiya but oh well . . .
Sae Jul 12 2016 1:03 pm I've never watched any of Yamazaki Kento's movies or dramas, but I LOVE Haruna Kawaguchi! Yoon Jun 12 2016 1:20 am OMG LOOKING FORWARD FOR THIS AFTER WATCHING ORANGE. Damn he has improved so muchhhhh. Watch Orange and you'll know what I mean. Fighting Kento! Diandra Kim Jun 10 2016 11:57 pm Just don't watch this movie if you dont want see him as lead actor. Please he's good actor why u should say something about him? I think he's so good so all the movies director want him to be lead actor! Ngek May 14 2016 7:50 pm He again. Damn. Ngek May 14 2016 7:48 pm Such boring!!! I dont want him to be a leading man anymore!!! bluelysia May 01 2016 8:47 am Aww I like how Kaori's hair is exactly the same like in manga. it is so cute. can't wait for this movie!! Celma Apr 10 2016 6:08 am The plot is interesting. I'm looking forward to it. panda_v_v Apr 01 2016 12:49 am If you think the film is not good because of him, don't need to watch it. ninjabisaya Mar 31 2016 3:16 pm @rimi, at last I saw someone with the same sentiment. LOL getting tired of him always casted on most manga turned live action. lol Mar 21 2016 7:57 pm Lol. Looks like the story from Forget Me Not. Ruby Mar 16 2016 5:29 pm Oh god what the fun here Kento-kun ganbare! Umm What will u say if Kento will act as the main role in Full house japanese version? nana Mar 15 2016 10:49 pm @Haha - "who cares if you are defending him or hating him" Why are YOU wasting your time on commenting. And as lol said " But this is online and he is just someone who wont care about you"
You are a hypocrite. You just said who cares about defending or hating yet you are commenting. And as lol stated we are online I don't think he/she was expecting him to actually look at these comments. and as Yamaken stated. And I will rephrase it and direct it towards Haha. Do you need a reward to defend anyone. Than I feel sorry for anyone close to you. Unless they have a lot of cash on hand so they know you will defend them. Yamaken Mar 15 2016 10:20 pm @Haha: Good point. Using your logic, let's say hypothetically somebody insults your mom, will you wait until she awards you something before you defend her? Haha Mar 15 2016 9:59 pm Well who cares if you are defending him or hating him. You people are just wasting your time. Its not like he's gonna award these mighty defenders, like buzz and lol. lol Mar 15 2016 7:38 pm @Everyone who is saying kento is boring- He has a job (Acting). He gets paid and he likes doing it. He has fans and his movies make money. So your comments only show that you have no lives. Saying your opinion once is fine if you have SEEN the movie. But people seem to be making it a mission to find everything he is in and say the same thing over and over before even watching if he has improved. And only makes me think you are jealous of him or hate yourselves so stalking him is making yourself feel better. But this is online and he is just someone who wont care about you. So until you seen this movie and have something realistic to criticize stop spamming nonsense. Buzz Mar 15 2016 4:20 pm I won't be surprised if I will get another "boring" and "hating" responeds this will make me realize how much more these pathetic people are. I'm done to deal with them. What a waste of people. Buzz Mar 15 2016 4:12 pm To the bellow message thank you for the boring responed . Does it make you feel better now? since you have nothing good to say? Just srsly wasting your "worth time" hating when you have something much better to do.Pathetic. Moe Mar 14 2016 10:23 pm Yamaken again... again... and AGAIN. Such boring! Scarlet Mar 13 2016 12:03 pm @Nana: The fact that you don't like it but still come back here more than once and even put another comment already say more than enough. just want to expend our opinion,is it wrong? we have the right and I knew you all his fans have right to defend him too. Just because you like Yamazaki Kento so much,either becuse of his handsome face,his awesome acting or else,doesn't mean that everybody have to like him and be happy because of this news. I'm sorry if my comment hurt you but that's my opinion. Scarlet Mar 13 2016 3:35 am @Buzz: I agree. Their hate is totally baseless. Kento's recent movies are among the highest-quality ones you can ever hope for in a live-action adaptation. And these are just temporary, he is already pursuing more challenging roles. They are just jealous annoying fans who have too much free time that they need to go around bashing whoever is popular. Too much complaints coming from someone who are watching movies online for free anyway. Buzz Mar 12 2016 4:37 pm To those who are saying Kento is "boring" First ,Why are you in his profile films in the first place? second why you are wasting your time commenting an actor you don't like? and Last YOU ARE NOT FORCED TO WATCH HIS MOVIES IF YOU DON'T WANT TO!!!! Haters have no life just love wasting their time to hate so they can feel better. Kento Mar 12 2016 3:42 pm People always complain he is stuck in shoujo movies but didn't they forget that he was in Mare and Death Note last year? His roles in Orange and Your Lie in April are not typical shoujo male leads either. Why do many people hate seeing Kento again in another movie? He's a great actor. I've seen his movie scheds and he only do 2-3 movies a year. I just don't get it. jess Mar 08 2016 10:16 am lol for those who says "why him again" "so bored" "tired of him" , have you actually watched his recent manga-adaptation movies to begin with? heck, i bet you haven't. yey Mar 07 2016 9:21 am its not only yama-kun, i think every rookie actor from old days who are now successfull did at least 2 movies in a year. it's their way to be recognized by people. he's just a rookie... maybe we can see yama-kun in diff genre movies two more years when his acting is better than his rookie days? if you're too boring to see him, just dont watch. you can read the manga and watch the anime. Buzz Mar 07 2016 8:30 am I agree I like this Kento boy but he had enough to be in shoujo adaptions I want to see him in something else seriously I hope this would be the last romance movie he will do and see other actors take rom-coms. P.S Haruna and Kento looks cute together. Nana Mar 07 2016 5:08 am I really love Isshukan Friends and... honestly this is very disappointing.I don't hate Yamazaki Kento but I'm just tired of seeing his face.I mean... just give another talented young actors this oppurtunity.Japan has a lot talented young actors,right? Yana Mar 06 2016 7:52 am Enough for Kento. Not again. MybabyKento Mar 03 2016 6:51 am Why not? He's tall, good looking, acts well and has great personality. Who wouldn't want to cast him? Kento-kun Mar 03 2016 5:55 am I don't understand what all the fuss is about with those haters. He only does about 2 movies/year. Try thinking about how many movies are released every year in Japan. It's not like him being in one will stop other movies from being made. Why don't you go and complain to those who's making 4-6 movies a year? This whole outcry is more than absurd. Rhea Mar 03 2016 4:05 am Why Kento again for God's sake! precious Mar 02 2016 3:47 pm Goodluck YamaKen baby . Strike while the iron is hot. it's not a sin to have a charming and pretty face and to become popular. Envious fans ??? domai domai , they are everywhere to attack you. to put you down.. STAY strong, and stay kind-hearted. Ganbatte ne. we love you. Pat Mar 02 2016 2:59 am Every recent shoujo manga based-movies must feature Kento Yamazaki as protagonist of titles. YamakenLover Mar 01 2016 8:21 pm OMG! 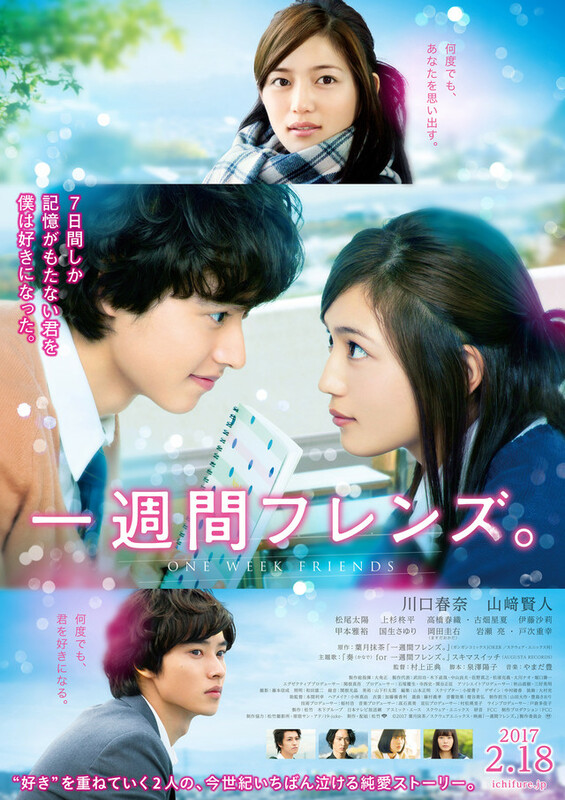 Mr. Bankable, another movie kyahhh ... and this time with Haruna. Well expect some bunches of envious bashers here, there and everywhere... Goodluck my dear Kento kun. rooting for you.